“Brilliant. We could probably reel off a list of other complimentary adjectives too. Ali was very discreet and low-profile on the day aside from the group shots where clear direction was obviously required. This made the entire bridal party very relaxed, allowed us to concentrate on the key events of the day and enjoy all of the best moments. Ali somehow managed to capture a vast number of excellent photos from a variety of angles, against different backdrops, with all of the key players and with no distracting background objects. As an enthusiastic amateur photographer, I had set the bar high and had already eliminated about seven different wedding photographers when we came across Ali’s work and were instantly spellbound. 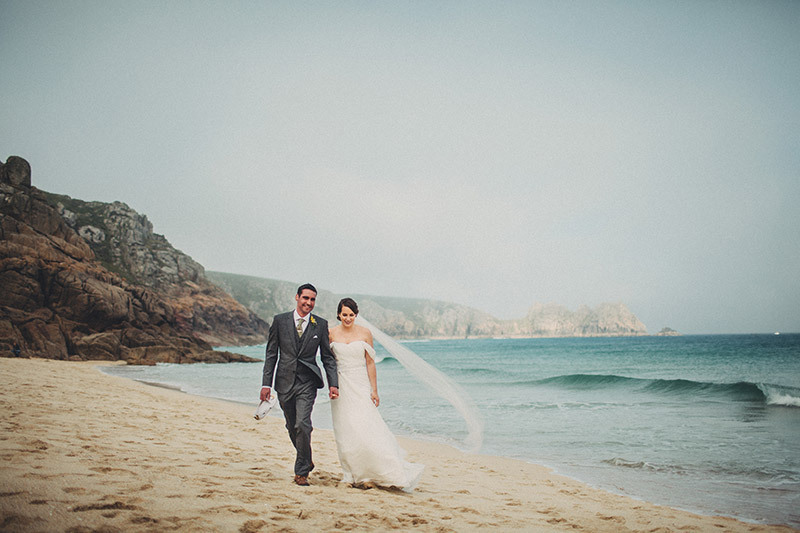 Ali’s portfolio is outstanding and unusually, unlike most other photographers, displays much fuller sets of perfect photos on the web site – whilst most others only have a handful of the best to tempt you through the door. We had high expectations on quality (despite both being worried about how we would look on film) and it is not an understatement to say that we were literally bowled over with the quality and the number of fantastic photos – with a great many artistic shots amongst them. If you want to avoid the standard set of photos that most people opt for and instead get creative, beautifully lit, fantastically focussed shots, with dramatic depth of field and wonderful memories to look back on in years to come … not to mention an enthusiastic and (damned) hard working photographer that does the job without interrupting the action – you could do no better than go to Ali. My wife hates having her photo taken. She hates herself in photos. She loves the entire set and loved the day and Ali’s work”. 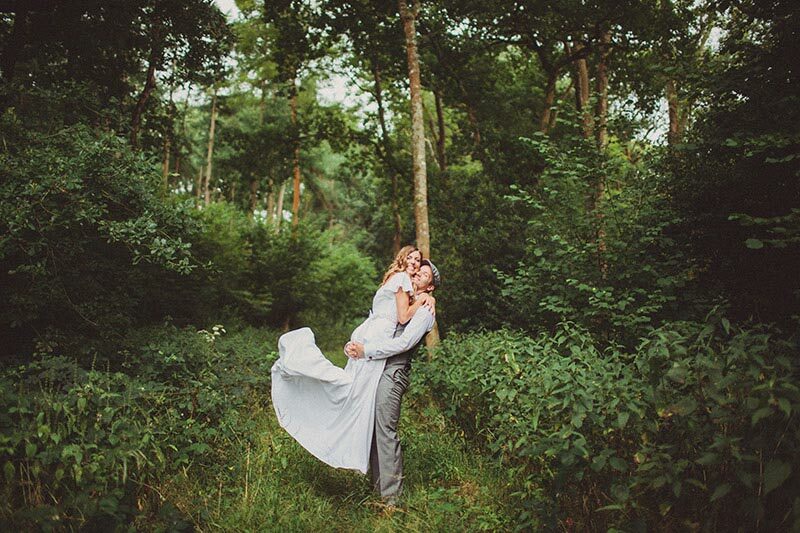 “We were recommended Ali by a mutual friend and instantly fell in love with his photography. Having not met Ali before the day, he put us at ease through his correspondence, and we hired him on the strength of his photographs and the passion and knowledge he seemed to display for photography itself. On the day Ali was relaxed, friendly and professional, he integrated so well with the wedding, he felt like one of the guests and we didn’t feel pressured for attention. During group shots he was on the ball enough to organise our family, and he was efficient and easy going so it didn’t feel like a chore. The couple shots were a really lovely time away from the hustle and bustle of the wedding and gave us time to be ourselves. The shots were absolutely beautiful and so well managed. Ali had specific ideas that were wonderful and also allowed us to just be ourselves and capture some lovely moments. After the wedding, the photos were with us after our honeymoon and we were over the moon. They really told the story of our wedding day and captured some unbelievably special moments, some of which we wouldn’t have seen otherwise. We treasure the beautiful moments Ali captured so well”. “Ali was a fantastic photographer. He was sociable, friendly and most importantly, he got fantastic shots that really highlighted the essence of the day. He was very generous with his time and was there from the getting ready, right till the drunken shinanigans at the end! I would absolutely recommend him. His price is fair and he made us feel that our wedding photos were important to him, not just a job for the day, as he worked hard afterwards with the editing. His packaging is impressive and we were happy all round”. “Fantastic. The price, all day coverage, packaging and quality of the photos themselves were all amazing. Ali’s really laid back and professional in both photography and personality. He felt like a guest and managed to captured every emotion possible that day without us even noticing”. If you would like to know more then please do get in touch via my contact page.